London, United Kingdom, has one of the best, most extensive and most widely used public transit systems out of any metropolitan area on earth. Many different rail, underground, bus, tram and boat services can take expats, residents, tourists, commuters and all types of people around this gigantic city, its outskirts and suburbs. The London Underground, known more commonly as the Tube, was the first underground transit system in the world, having been around since 1863. Though named the Underground, over half of the tracks are actually above ground. The London Underground network has trains that go into the city and through the boroughs of Greater London, Essex, Hertfordshire and Buckinghamshire. There are 11 color-coordinated lines in the Tube, and the trains stop at 270 stations throughout over 400 kilometers of track. This is the second longest metro system in the world, after Shanghai, and about 3 million people ride it daily. 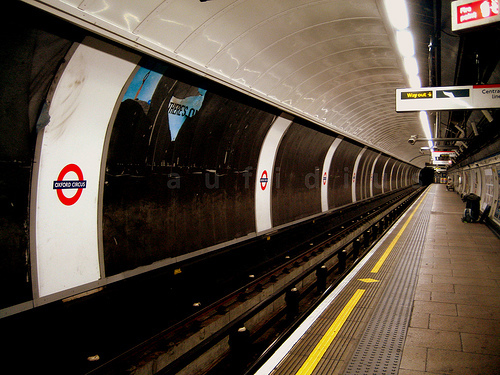 In terms of fares, the Underground operates under the Transport for London’s Travelcard. This works by dividing the city of Greater London into 6 zones, with Zone 1 being the most central part of the urban area, and working the way out to the outermost parts. The suburbs outside of London are divided into zones 7-9. A better option for travel is to buy a TfL Oyster card, which is a contact-free smart card that can be loaded with credit, and also used on the buses, Overground, trams and other railways. These cards are encouraged and actually save passengers money when they use them. 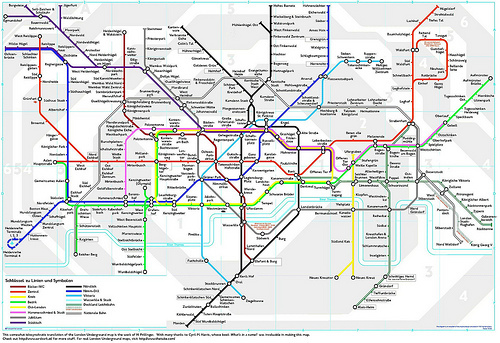 The London Underground is not a 24-hour system. On weekdays, the trains will generally start running at 5:00 AM, and end between 12:00-1:00 AM. On Sundays, the trains do not usually start until 7:00 AM, and end between 11:30 PM-12:30 AM. London has had running buses since 1829, starting with horse-drawn vehicles. 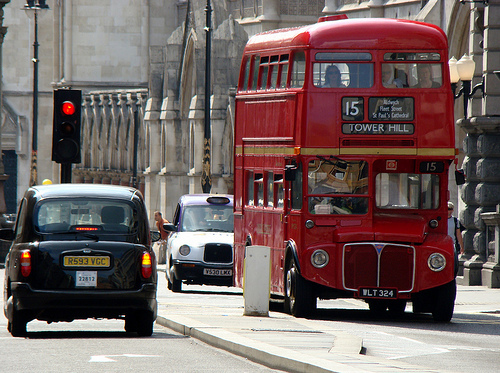 The historic London Buses, the double-story Routemaster models with rear entrances (above), are a famous trademark for the city from movies and photographs. These older models have largely been put out of service, used only in a couple heritage routes, and replaced by newer models that are still red and have two levels. There are also some single-level buses now running in London, which are known as bendy buses. Many of the newer models are more efficient and have better accessibility for passengers, like improved handicap services. The London buses do run 24 hours; many of the regular lines run all day, though less frequently after hours. There are night bus services that run after the Tube closes, until the trains start again in the early morning. 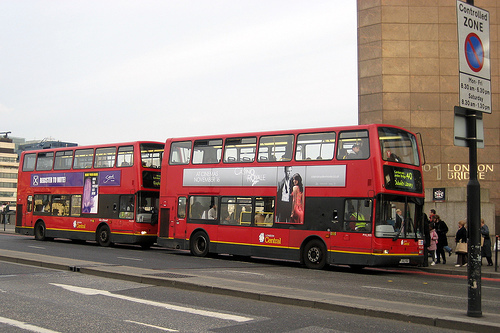 Most of the local city buses are owned by London Buses, which is part of Transport for London. 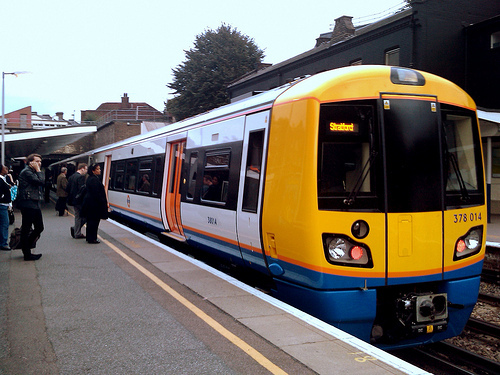 The London Overground is a new urban and suburban commuter rail system, operated by Transport for London. It has been active since 2007, and there are currently five lines that run to 78 stations in the different boroughs. 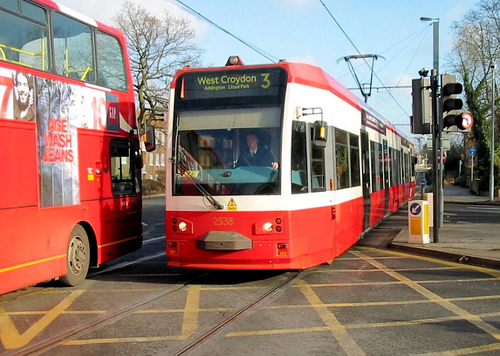 The London Trams are also called the Tramlink, or sometimes the Croydon Tramlink. They are operated by Transport for London, and run in south London. This new system has been active since 2000, part of the reason being the lack of Underground services in the area they cover. The trams run on some street tracks with other traffic, tracks in public roads, off-street tracks, old railway lines and other spaces. There are currently three color-coded routes on the Tramlink system that run to 39 stations, and some future developments for new routes have also been proposed. 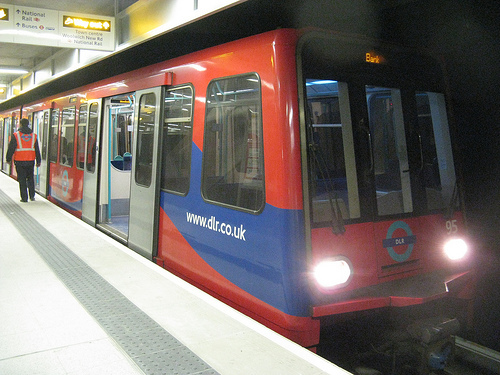 The Docklands Light Railway is a light rail system that has been running since 1987, run under Transport for London. It covers the London Docklands, which is an area in the northeast and southeast of the city, and extends to many areas around Greater London, like Lewisham and the City of London Financial District. There are 40 stations within the DLR network, and the system extends throughout 34 kilometers. It runs under five different branches, and has a daily ridership of about 100,000 passengers. The London River Services is run under the Transport for London company. It consists of a number of commuter boats, ferries and tourist services that run around the River Thames. The River Services has been active since 1999, and there are 25 terminals along the river. Transport for London does not actually own or operate any of these boats, but they license the drivers and operators. Most services do not take passengers across the river, as it is not very wide, and can be navigated via bride or tunnel. The boats mostly work to take people eastward or westward along the water. 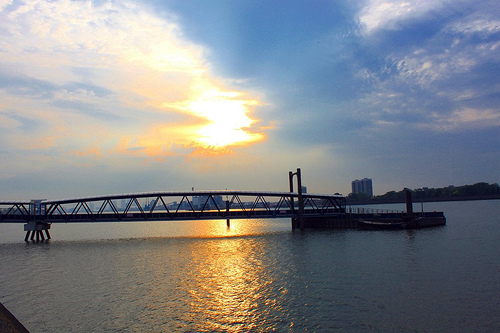 Though not a very extended system, there are approximately 2,000 people who commute by the river daily. The boat operators arrange different fares from the rest of the public transit system. Some of the boats will accept the Oyster card, or offer discounts to people holding a Travel card, but this does not apply to all of them.